Long Island is the most populated suburban area of New York City, as it stretches out for almost 100 miles and separates the Long Island Sound to the north and the Atlantic Ocean to the south. It is home to leafy towns and marinas, carrying a huge range of lifestyles and interests. The demands of such a diverse populace can be taxing. And within that populace, there are many different business and cultural hubs that contain thousands of Long Island Law Firms. For example, if you have been in an accident, where do you begin to look for an Accident Lawyer on Long Island? 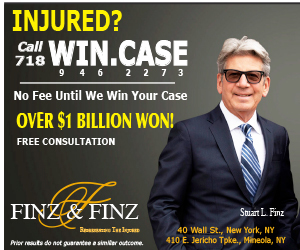 Just the difference between a Nassau County Law Firm and a Suffolk County Law Firm can be staggering. Try typing any combination of “Law Firm Long Island” or “Law Firm Nassau County” or “Law Firm Suffolk County” into Google, and you will get an overwhelming amount of options, and no way to know which one is right for your specific situations. 2 - Finding a lawyer who is conveniently located near your home or workplace, noted on this site by Location -- in this case, Nassau and Suffolk Counties. From there, it’s easy to explore the list of professional and qualified Long Island Lawyers in the specific category that fits your need, and find the one that makes most sense for your whereabouts. While choosing an Attorney in Nassau or an Attorney in Suffolk can be difficult, New York Lawyers Guide is here to put you on the path to finding the perfect Long Island Attorney for your legal needs.